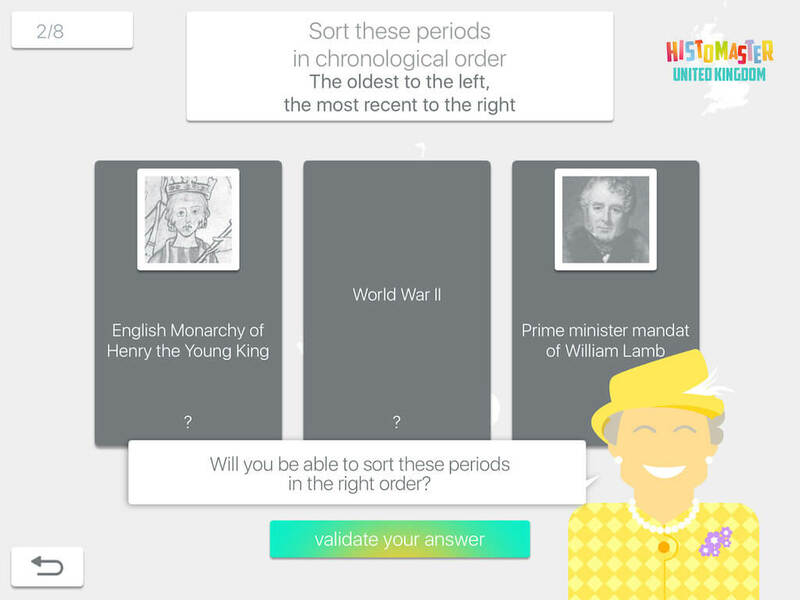 Welcome to HistoKids UK : Learning U.K. History is Fun! 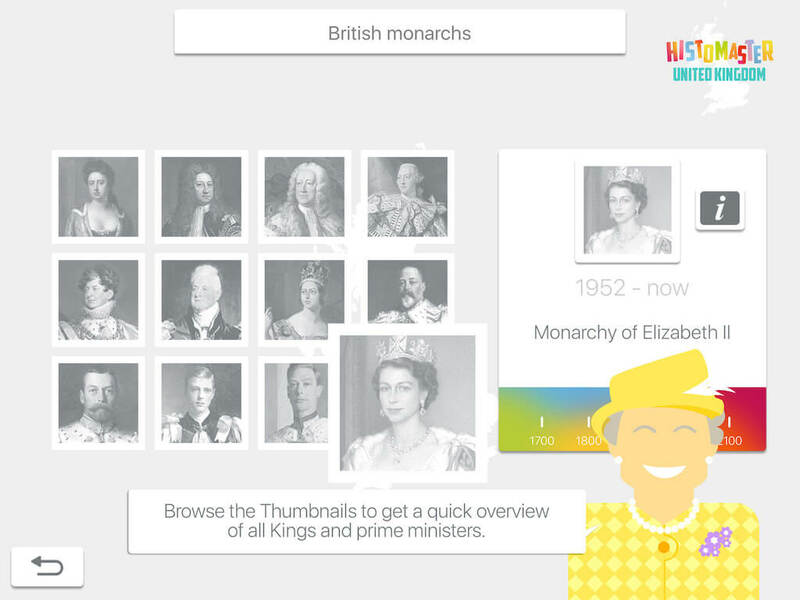 Thanks to HistoKids UK you’ll discover more than 22 centuries of United Kingdom History; all Kings (Scottish, British, English, Irish), Princes of Wales, Prime Ministers, Wars, Key Events, everything can be found here! For each correct answer you win a troop, this can be used to conquer the world, country by country. Every goal you win unlocks new troops. 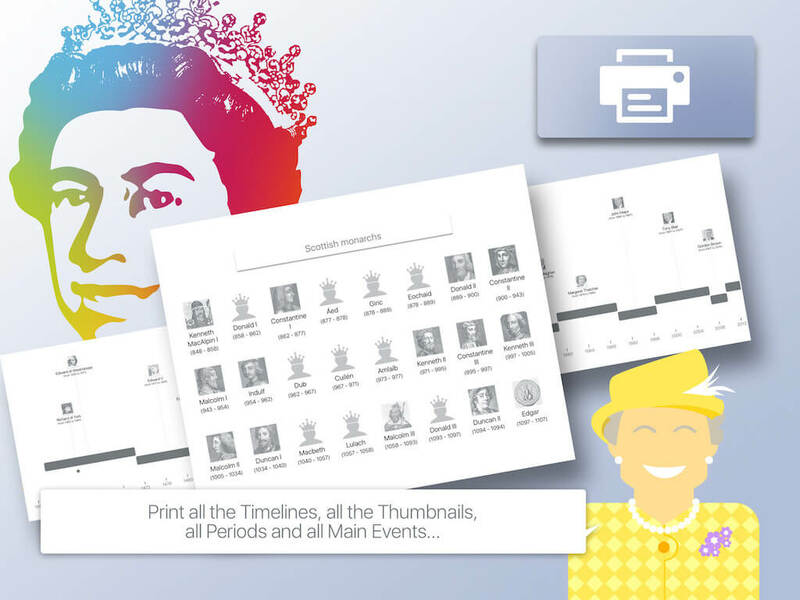 In the adventure mode you will learn History of United Kingdown with Queen Elizabeth II. You’ll find events to put in order, take a quiz and organise time periods. The learning mode allows you to practice all topics. 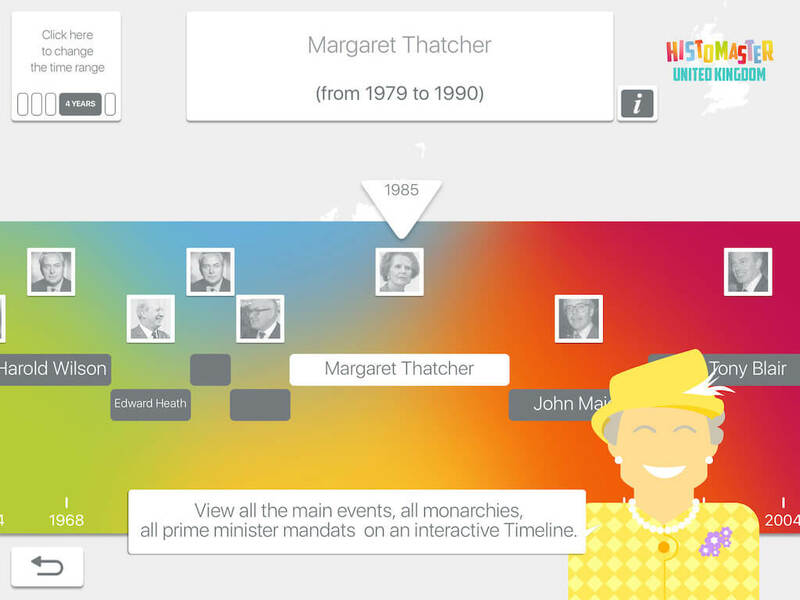 In this mode, you’ll see Kings, Princes, Prime Ministers, Wars, Key Events and Periods in interactive timelines. You’ll explore the thumbnails of the Kings, Princes, Monarchs, events and wars on a single screen, to get the whole picture. 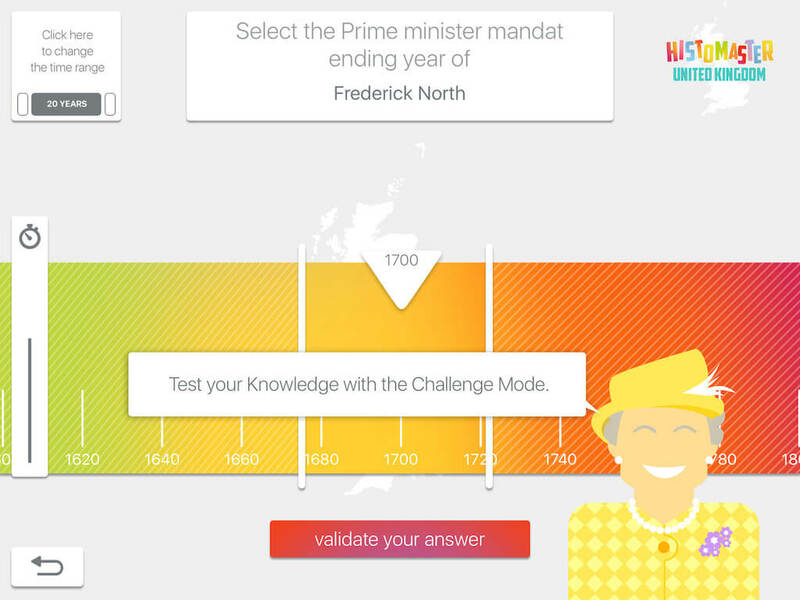 The challenge mode will test your knowledge on key events and periods in a different way: you have to guess the correct year by putting it on a timeline. The highest points are scored when you guess the closest. Each family member can have its own profile, so you can compare your progress to others. All profiles can be saved on iCloud, so its even possible to continue your game on a different device, for example Apple TV and iPad!